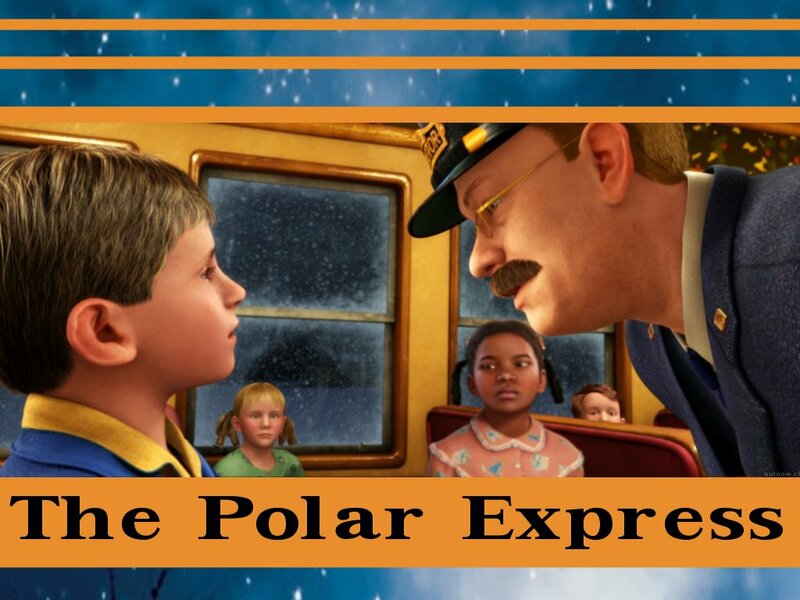 In the movie Polar Express there is a scene where a little boy, feeling fearful, a bit rejected, certainly lonely, remains on the Polar Express while all the other children hop off to see Santa. The children are excited because the Conductor has told them “one of you will receive the first gift of Christmas from Santa. Who wouldn’t want to get off the train and join the celebration in the town square? Who wouldn’t want to hope that they would be chosen? So why does he stay on the train? Could it be a feeling of unworthiness? Perhaps he tells himself “I’m never going to be chosen because I’m not tall/short/good/talented/handsome/etc enough”. 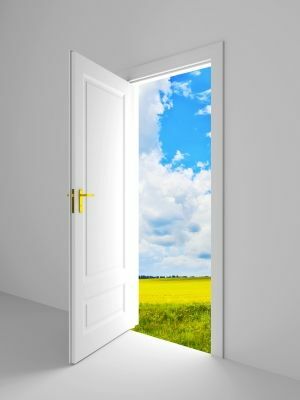 There’s alot of people I meet who seem to let go of opportunity because of what “they tell themselves”. So what do you tell yourself…about yourself? How we talk to ourselves is more important than how anyone else talks to us. Just because someone tells you, you are too tall/short/…no good/not talented/…not handsome etc doesn’t mean it is true. It is no more true than if I told you the world is flat, Google makes typewriters or the world will end in 2012. What you believe is what you tell yourself. So why not change the story? Why not create a new conversation? It is possible. Sometimes you just have to be willing to step off the train. I’ve been mulling over the role HOPE plays in our lives. Hope is named by Paul as one of three aspects of life that lasts. Our position in life, our treasured possessions, even our health and strength may fade away – but hope remains. Of course Paul’s declaration is that love is the greatest however with hope I might suggest WE fade away. Hope is what gives us strength whatever our circumstances and it is hope that lets us see another day…when we lose hope we lose the ability to move forward. Talk to anyone who has battled depression. They will tell you that without hope life is filled with darkness. Hope gives us light, life, the ability to love. As a pastor – the leader of a congregation – I was always amazed at how many people suffer with depression, and how many of those people suffered in lonliness. It became a conviction of mine that if only those lonely men and women would willingly share their journey they could give HOPE to each other. My faith in God, my relationship with Jesus and the love of Wendy give me HOPE. 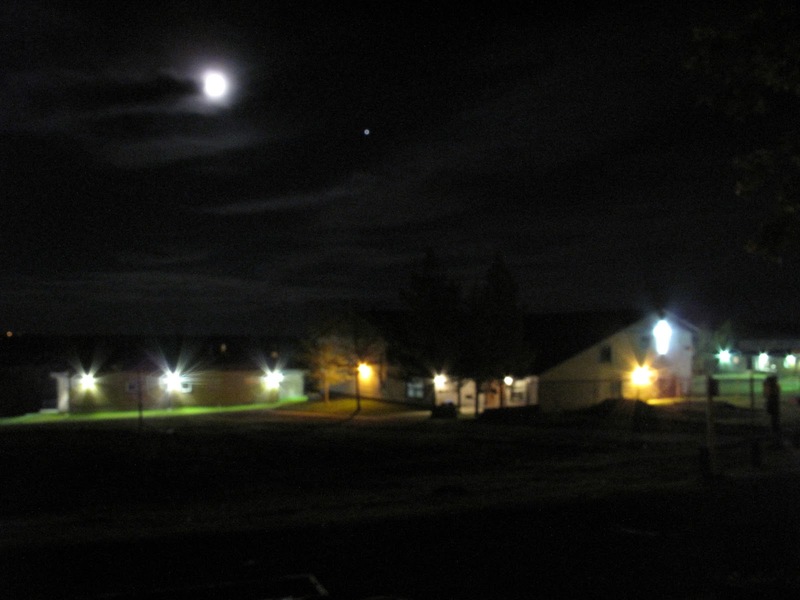 It’s night time at PLC…a cool evening and we can hear the coyotes howling in a nearby field. There is something settling about being here. After a day in Calgary I have to return there tomorrow so it seemed good to spend the night here and save the hotel money. As well Wendy is on the eve of her Women’s Retreat weekend. I was listening to CBC radio today on the journey to Calgary…I’m not always happy with CBC radio and their take on life, the values they espouse, but I was taken by the discussion around failure. We fear failure and yet the more we fail the more we learn…failure teaches us. I think of days, as a kid, of learning to ride a bike. How many times did I end up falling off before I found the sweet spot of balance and discovered that I had more control than ever. No – failure is a good teacher – and perhaps more than anything failure keeps our ego in check. For without failure we can begin to believe that we can’t…or at the very least won’t fail. And that is a very dangerous place to live. As a minister of the gospel I can count several times when I failed – failed to respond in time, or my judgement was off, or I didn’t trust God as I should have. And in those moments I learned about myself, God’s people and God Himself. Failure will follow us and I am okay with that …as long as I’m faithful to God, Wendy and myself.